Plus $1.00 for each white cushion. 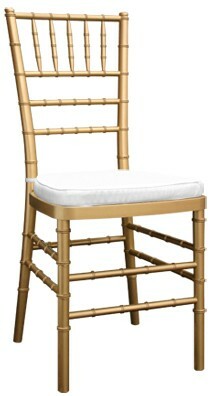 Orlando Gold Chiavari Chair Rental. Our Chiavari chairs are also available in other colors.